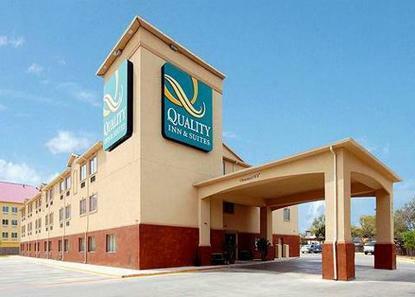 Hotel only five minutes from Sea World of San Antonio, the Shops of LaCantera and Six Flags Fiesta Texas. Twenty minutes from the Alamo, Riverwalk and downtown. There is a variety of shopping and dining options nearby. Hotel offers FREE deluxe continental breakfast, FREE wireless high speed internet access, outdoor pool and fitness center. Guestrooms include microwave, refrigerator, iron/ironing board,hairdryer, coffee maker and full length mirror. Evening daily cookies and popcorn in the lobby. Outdoor gazebo with grill for cooking out.